Feel free to print this out (fits best on a regular sheet of printer paper) and slap it on your classroom wall too! Then when anybody asks you about this property, just point to the sign. Soon, kids will just go look at the sign (or learn it for heaven’s sake!) instead of asking you, since they know you’ll only send them to the sign anyway! 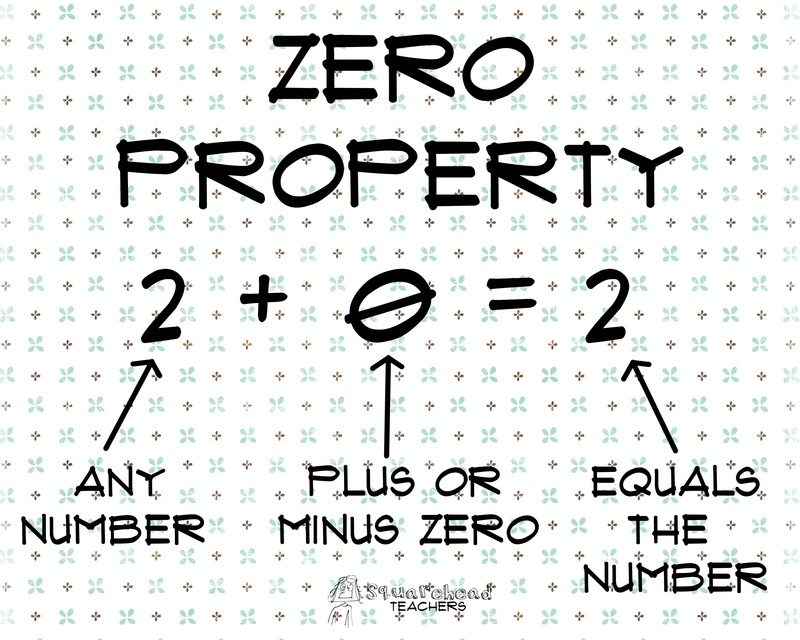 This entry was posted in Math and tagged Education, Elementary School, Homeschool, Math, poster, Teacher Resources, Teaching, zero property by Squarehead Teachers. Bookmark the permalink.